This page describes the changes and additions to the site between November 2000 and December 2004. Click on date (if underlined) to review changes. County Down: Extracts from the 1937 edition of Lewis' Topographical Dictionary of Ireland relating to Lecale available. Family Storyboard: Owen and Annie Devlin page updated and expanded. Family Repository: New Family Message - Devlin wedding McKenna Family Tree updated. Family Repository: Genealogy - Curry Arms and Genealogy added. Family Repository: I have finally traced the births and deaths of my two brothers, Owen (1937) and Edward (1941), who lived only a few days. The McKenna Family Tree and the Boyle Family Tree have been updated. Website: I have been working on a new 'look and feel' for the website, switching to a 'Style Sheet' approach that will make future adjustments easier across the entire site. The changes have to be made page by page and, with over 600 pages, will take some time to complete. At this point all main menu pages with the exception of the 'Family Gateway" (which has the bulk of the material) has been converted. Family Repository: Family Storyboard - School Photograph - Glassdrummond School - 1949. Family Repository: New Family Message - new family member!. Mackrell Family Tree updated. Children's Sayings: Conal Barrett strikes again! Family Repository: Family Wedding - Sarah-Jane Carville and Alan McGrath. Family Repository: New Family Message - new family member!. McKenna Family Tree updated. Family Repository: New Family Message - Congratulations Noelle. Family Repository: New Family Message - family bereavement. Devlin Family on-line I have added a page about the the other web sites I have designed. Family Repository: New Family Message - Visitors from Canada. Family Repository: New Family Message - Many happy returns! Local NewsThe Mourne Observer has been added the the list of on-line local papers. County Down: Notes on the following places added - Judges Lodgings, Saul Church, Slieve Patrick, Strangford, Strangford Stone and Southwell Buildings. County Down: Notes on the following places added - Down Arts Centre, Denvirs Hotel, Downpatrick Courthouse and Celtic Cross, Down Cathedral. County Down: Notes on the following people added - Aodh MacAingil, Archbishop William Crolly, Celtchair Mor Mac Uthechair and Sir James Martin. County Down: New Website for Lecale Historical Society added to page links. County Down: Weather Forecast for the main County Down towns added to the Menu. Children's Sayings: A New Year one from Conal Barrett. What's New: Entries for 2003 archived. New page started. Family Gateway: Family News: New Message posted - new baby. Family Gateway: Family News: New Message posted - condolences. Family Gateway: Childrens Sayings: Rebecca Barrett strikes again!. County Down: Lecale Historical Society: First edition of the new jouurnal "Lecale Review" launched on 17 November. Cover and contents page reproduced here. Family Gateway: Family Repository: Details (and photos) of Michelle and Barry Toner's family now available. The Terence Boyle Family Tree also updated. Family Gateway: Family News: New Message posted - Family Wedding. Family Gateway: Family News: New Message posted - Surprise Party. County Down: Lecale Historical Society: Upgraded pages about the Society, including details of the Society's Programme for 2003-2004, some details of its Journals' articles, and how to become a member. Family Gateway: Family News: New Message posted. Family Repository: : Details of Richard and Gordon McAvoy's families now posted - thanks to Gordon McAvoy. The Kane and Curran Family Trees have also been updated. Family Gateway: Index of Family Names: Simple list of all the Family Surnames in the databases now available. Family Gateway: Family Photo Albums: Two new photos - Sandra (Donnelly) and Aidan Hughes, 5 May 2003; and Amanda (Neary) and Garath O'Connell, 21 June 2003. The McKenna Family Tree and the Index of Family Names have also been updated with the new family members. Family Repository: : Details of Brendan Durkan's family now posted - thanks to Anne-Marie Acosta. The McKenna Family Tree has also been updated. County Down Down County Museum: The Museum launched its own, comprehensive, website in May 2003. As a result I have modified the Museum page on this site and removed the information of the Down Survey, which is more fully covered by the Museum's content. For example many of the articles are available on-line. Family Gateway: Census Records: 1901 Census record for James Curran, Church St. Rostrevor, posted. County Down: Down Survey: The 2002 edition of Yearbook of the Down County Museum was published on 12 March 2003. The Contents Page, with summary of the articles, is reproduced here. Family Gateway: Family Repository: Updated details of Noel and the late Brigid Rodgers' Family; with thanks to Geraldine Meagher. Boyle Family Tree updated. Family Gateway: Family Storyboard: A fairy tale from Catrina Barrett (age 6). County Down: Down County Museum: Programme of Events to mark the bi-centenary of the 1803 Rebellion in the role of Thomas Russell - "The Man from God Knows Where"
Family Gateway: Family Names of Creggan: Family names for 1957 now available. Family Gateway: Family Names of Creggan: Family names for 1766 now available. Co. Down: Lecale Historical Society: Contents and summary articles of the 2002 edition of Lecale Miscellany" now available. Family Gateway: Townlands of Creggan: Additional information about households and population of the townlands in the eleven censuses held between 1841 and 1951 now added to the profiles. Song and Story: Poem The Lighthouse: I have been searching for this poem for many years without success since I lost the book "The Ambleside Book of Verse" I had at the Abbey Grammar School in Newry. Now, thanks to a former Violet Hill pupil, Gerry Carville, to whom I am indebted, here it is. Song and Story: Nearly 80 great MIDI files of Irish song melodies added with thanks to Frank Lennon, Castlewellan who arranged them. Family Gateway: Native Irish speakers of Creggan: The complete list of the 785 people, who spoke Irish as their native tongue in the civil parish of Creggan at the time of the 1901 Census of Ireland, now available. Family Gateway: Family Names of Creggan: Family names for 1935 now available. Family Gateway: Family Names of Creggan: Family names for 1970 now available. Family Gateway: Family Names of Creggan: I have added a new feature, listing the incidence and concentration of the most frequent family names in the parish at periods of about a generation apart since 1828. The project is not complete as the position in 1935 and 1970 is still to be analysed. Family Gateway: Townlands of Creggan: Information about the names, occupations and ages of the native Irish speakers enumerated in the 1901 Census of Ireland now available for the rest of the listed townlands. Family Gateway: Index of Family Names: The Index has now been updated. Also James and Sarah Curran's Family Tree. Family Gateway: Curran Family: A major addition to the information available on the Curren Family, originally from Killowen, Co Down, has been made available thanks to Deirdre McEvoy who, in addition to the 193 names (and details) already added to the Family Repository, has provided another 112 names of the descendants of James Curran's parents and grandparents and one of his granduncles. This addition enumerates eight generations in Sadie's family, and possibly more in others. Access is through James and Alice Curran's page; yellow text in boxes. To complete the picture I will shortly add the new names to the Alphabetical List and provide additional Family Trees. Family Gateway: Townland Timeline: I have started to add information from the Townland Valuation of 1837. This is mainly limited to the total townland valuation but with details of the (few) householders with property worth �5 or more a year. Family Gateway: Curran/Morgan Family: Additional information about Mary (Curran) and Paddy Morgan's family. Twenty one names added to the Family Repository. Thanks to Deirdre McEvoy who has supplied an amazing 193 family names of James and Alice's descendants. James and Alice's Family Tree has been updated, as has the Alphabetical List of family names. Family Gateway: Curran/Magee Family: Additional information about Brigid (Curran) and James Magee's family. Twelve names added to the Family Repository. Thanks to Deirdre McEvoy. James and Alice's Family Tree has been updated, as has the Alphabetical List of family names. Family Gateway: Curran Family: Additional information about James and Nelly Curran's family. Six names added to the Family Repository. Thanks to Deirdre McEvoy. James and Alice's Family Tree has been updated, as has the Alphabetical List of family names. Family Gateway: Curran/Cole Family: Major addition to the information about Margaret (Maggie) (Curran) and Matthew Cole's family. Another 28 names added to the Family Repository. Thanks to Deirdre McEvoy. More names of James and Alice Curran's descendents will be added later. James and Alice's Family Tree has been updated, as has the Alphabetical List of family names. Family Gateway: Curran/Murphy Family: Major addition to the information about Gertie (Curran) and Matt Murphy's family. 28 names added to the Family Repository. Thanks to Deirdre McEvoy. More names of James and Alice Curran's descendents will be added later. James and Alice's Family Tree has been updated, as has the Alphabetical List of family names. Family Gateway: Curran/McEvoy Family: Major addition to the information about Mary (Curran) and Killian McEvoy's family. 21 names added to the Family Repository. Thanks to Deirdre McEvoy. More names of James and Alice Curran's descendents will be added later. James and Alice's Family Tree has been updated, as has the Alphabetical List of family names. Family Gateway: CurranFamily: Major addition to the information about Edward and May Curran's family. 15 names added to the Family Repository. Thanks to Deirdre McEvoy. More names of James and Alice Curran's descendents will be added later. James and Alice's Family Tree has been updated, as has the Alphabetical List of family names. Family Gateway: Curran/Cole Family: Major addition to the information about Florrie (Curran) and Joseph Cole's Family. 62 names added to the Family Repository. Thanks to Deirdre McEvoy. More names of James and Alice Curran's descendents will be added later. James and Alice's Family Tree has been updated, as has the Alphabetical List of family names. Family Gateway: Townland Timeline: The following townlands have now been updated to 1972. Glassdrummanaghy, Monaguillagh Rathkeelan and Tullydonnell O'Callaghan. Family Gateway: Townland Timeline: The following townlands have now been updated to 1972. Cregganbane, Cregganduff and Glasdrumman. Family Storyboard: More information about Joesph Curran, drowned in Carlingford Lough, added to the story of the SS Connemara. Family Gateway: Townland Timeline: The following townlands have now been updated to 1972. Ballynaclosha, Cappagh, Drumbally, Drumboy, Drummuckavall, Legmoylin, Moybane, Tullydonnell Gage and Urker. Family News: New message posted. Family Gateway: Townland Timeline: Monaguillagh has been updated to 1935. 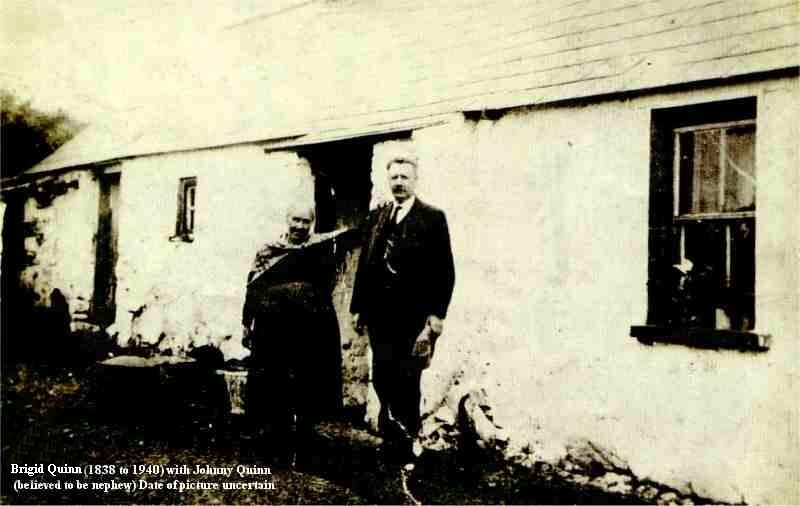 Family Gateway: Townland Timeline: Glassdrumman has been updated to 1935. Family Gateway: Family Repository: Forty three names from Gen and Owen Hearty's family added, with thanks to Bridie O'Callaghan. The McKenna Family Tree also updated. Family Gateway: Townland Timeline: The following townlands have been updated to 1935 - Ballynaclosha, Cregganbane, Cregganduff, Drumbally, Drummuckavall, Rathkeelan and Tullydonnell O'Callaghan. Family Gateway: Townland Timeline: The following townlands have been updated to 1935 - Cappagh, Drumboy, Legmoylin, Moybane, Tullydonnell Gage and Urcher. Census Records: 1901 Census: Summary of Census Returns for Dorsey now available. Census Records: 1901 Census: Summary of Census Returns for Carrick Street and The Square Crossmaglen, and the townlands of Drumbally, Monaguillagh and Tullydonnell O'Callaghan now available. Family Gateway: Townland Timeline: Additional townlands profiled. Family Gateway: Townland Timeline: New feature which lists those living in selected townlands in South Armagh over the centuries. More development needed. Family Gateway: Table showing the distribution of the principal family names throughout Ireland in 1890 now available. Wedding Photos: This page has been redesigned so that the photographs open in their own windows. Site Reorganisation: I have made some major changes to the layout of the site, designed to consolidate the hundreds of pages of family related information, and improve navigation. The main site menu has been reduced with a single menu item - The Family Gateway - replacing eight items, as well as some pages formerly accessed from other menus. There is an additional information source now accessible from a single point - Townland and family records from the 1901 and 1911 Census of Ireland. I have also taken the opportunity to archive the "What's New" items to May 2002. These can be inspected, if desired, from the above archive. Family Name Index: The Index has been reorganised to reduce the download time. Fitzpatrick Family: Additional information about Bernard and Kitty's family added. McKenna and Fitzpatrick Family Trees have been updated. Felix Boyle Family: Transcriptions of the 1911 Census for the Fearon family now available. Durkan FamilyAdditional information about the family of Patrick Durkan of Corrower, Co Mayo now available, including transcriptions of the 1901 Census and the 1911 Census for Patrick's family. Devlin Database: Some information about Catherine and James Larkin's family. Fitzpatrick Database: Additional information about Ned and Lizzie Fitzpatrick's family, with thanks to Bernard and Mena Fitzpatrick. Boyle Family: Story of a murder and suicide in Tullydonnell in 1927. Boyle Database: Additional earlier generation added. Pages reorganised; and a revised Family Tree available. Curran Database: Incomplete information about the Marks, Rooney and Green families added. Kane Database: Information about Tommy and Kathleen Kane's family now available. Photo Albums New Album available - St Patrick's Festival, Downpatrick 2002. John and Marie Boyle: More information and photos available - with thanks to Barbara Delafield. Kane Database: Basic information about Bernard and Ann Kane, Sadie's great grandparents, now available. Curran Database: Story of the tragic collision in Carlingford lough in November 1916. County Down: Introduction and Contents of the 1994 and 1998 editions of Lecale Miscellany now available. Family News: New message added. Curran Database: James and Alice Curran's Family Tree (incomplete) now available. Genealogy: Coat of Arms and genealogy of the Curran family now available. Song and Story: Two poems added; "The Old Man's Grave" by Lucy Maud Montgomery and "C.L.M" by John Masefield. Family Repository: I will now include information, where I have it, of the place of birth and burial of individuals, as well as photos of family gravestones, linked to the individuals concerned. The example link is to my father's record. I would welcome such photos. Durkan Family: Database reorganised to improve loading speed. County Down: Introduction and Contents of two editions of Lecale Miscellany now available. Genealogy: Genealogy of the Feehan family now available. Genealogy: Coat of Arms and genealogy of the McKeown family now available. Song and Story: Four songs added; "Loch Lomond", "Love's Old Sweet Song", "Meet Me in St Louis, Louis" and "Silver Threads Among The Gold". Song and Story: Five songs added; "Maid of the Sweet Brow Knowe", "Lark in the Clear Air", "The Salley Gardens", "The Fairy Hills" and "The Enniskillen Dragoons". Genealogy: Coat of Arms and genealogy of the Brady family now available. Song and Story: Eight Legends added; "The Recovered Bride", "Jimmy Doyle in the Fairy Palace", "The Fairy Nurse", "The Belated Priest", "The Palace in the Rath", "The Tobinstown Sheeoge", "The Fairy Child" and "The Horned Women". Song and Story: Two songs added; "Carrickfergus" and "The Tennessee Waltz". Song and Story: Three poems added; Matthew Arnold - "The Forsaken Merman" and Leigh Hunt - "Abou Ben Adhem" and "The Glove and the Lions". Song and Story: Three poems added; WB Yeates - "The Song of Wandering Aengus" and Benjamin Franklin King "The Pessamist" and "If I Should Die". Photo Albums: New album of photos of Mary Devlin's 21 Birthday celebrations now available. Devlin Database: Update of Owen and Marie Devlin's family now available, with photos. Devlin Database: Details of all of Gerry and Veronica's family now available. Photos will be added later. With thanks to Sandra Donnelly. This information adds 38 names to the Family Repository. The McKenna Family Tree has also been updated. County Armagh: Tales collected by TGF Paterson, former Curator of Armagh Museum, with acknowledgements to the publishers of the book "Harvest Home". Thomas Russell: Report of the Trial of Thomas Russell - 20 October 1803. Boyle Family Tree: Revised Family Tree takes account of John Boyle's parents and siblings - limited information as yet available. McKenna Database: Separate page for Rose and Patrick Keenan's family now available. Song and Story: Three new poems - WB Yeates and Winnifred M Letts. Drumbally Days: Additional material added - "Alarums and Excursions" and "Cousins"
Family Name Index: Revised Index should load faster. Guestbook: New Guestbook installed. The old one was not working properly. The Archived Messages are available. McKenna Family Tree: New information on two of Edward and Mary's children resulted in a revision of the Tree to reflect the correct chronological order of their births, in so far as these have been definitively established. Boyle Database: Additional information and photographs for Peter Boyle's Family. With thanks to Majella McEntegart. Photo Albums: New Album of a few images of Paddy Mackrell from 1912. You will leave the site. To return use your Browser's Back button. Devlin Database: More information now available on Kathleen and Mick Martinez's Family. Special thanks to Teresa Bryers for the information, which adds 30 names to the Family Repository. The McKenna Family Tree has been reorganised and updated, to reflect the latest changes. The opportunity was taken to better reflect the chronological order for the family relationships. Photo Albums: New Album of a few images from the 19th and 20th centuries, of the family of James and Kate Richardson. You will leave the site. To return use your Browser's Back button. Richardson Database: Nearly complete record of Minnie and James McAlister's extended family available. With much thanks to Kathleen Collins for the information which adds over 60 names to the Family Repository. The McKenna Family Tree has been updated. McKenna Database: Family Tree of, and additional information about, James Hanratty (married Sarah McKenna) available. With thanks to Colman Ahern, of Berkeley, California, James's grand nephew. Devlin Grandparents: American cousins reminiscences of visiting Mobane in the 1920s and 30s. Boyle Database: An up-to-date Family Tree of John and Mary Boyle now available. John de Courcy: An extract from "The Annals of the Four Masters", added to the profile. McKenna Database: An "up-to-date", but incomplete, Family Tree of Edward and Mary McKenna now available. The Devlins:. Chapter Two of my Memoir on the civil service. Famous Devlins:. Short portrait of Anne Devlin - Friend of Robert Emmet. Index of Names:. Additional names in following Surnames: Boyle, Brown, Collins, Conlon, Duncan, Garvey, Keenan and McKenna. American Connection: More photos from Anna Crocco, including one of her brother Albert who died tragically, aged 4, in 1920. Albert was Owen and Annie Devlin's first grandchild. Search Service: New feature. As well as access to one of the best Search Engines (Google), directly from the Home Page, you can now search Devlin Family on-Line for specific information. In the Google Box on the Home Page enter the words, names etc you are looking for, select "Search this Site" and click "Search". This will give you a complete list of all of the pages with the selected text. Photo Albums: New Wedding Photo Album now available. This provides access to all these photographs from a single page. Please send me your photos, old and new, and I will put them here. Dinsmore Datebase - details of Maggie and Jimmy Dinsmore's family updated. Fitzpatrick Datebase - details of (some of) Alice (McKenna) and Bernard Fitzpatrick's family is available. I am grateful to Paddy and Alice Fitzpatrick and Rita Callan for the information, documents and pictures. This adds another 60 names to the Family Repository. 21 June 2001 New feature: Capturing the funny, bizarre and arresting things our children say. Now a Main Menu Item. 20 June 2001 Devlin Database - further details of Christina and Maris Soto's family - plus wedding photo. 17 June 2001 Family Name Index: Complete searchable name index now available in the Family Repository. 8 June 2001 Family Repository: Work on a major extention to the Family Repository, covering the families of the daughters of Edward and Mary McKenna - my paternal grandmother's sisters - has begun. The families include Conlon, Richardson, Keenan, Fitzpatrick, Hanratty, McCoy, McAllister, Clarke, McCourt, Durkan, Hart, Pearce, McArdle. Limited information currently available. I will add to it as it becomes available. 31 May 2001 Devlin Database: Some information about Gerry and Veronica Devlin's family now available. More detail will be added in due course. 26 May 2001 Claire Devlin: Photos of Claire's First Holy Communion at online.ie You will leave this site - use your Browser's BACK botton to return to this page. 23 May 2001 Song and Story: Seven new selections in Words and Music. 11 May 2001 American Connection: New photo album - old photographs of the Devlin family members who emigrated to America at online.ie You will leave this site - use your Browser's BACK botton to return to this page. 27 March 2001 Peter and Annie Devlin: Family tree added to family matrix. I will roll-out this feature to other families over the next few weeks. 22 March 2001 McKenna Connection: New photo album old photographs of the McKenna family at online.ie You will leave this site - use your Browser's BACK botton to return to this page. 21 March 2001 Kane Family Database: Additional information about Maggie and Jimmy Dinsmore's family. 19 March 2001 Devlin Family Database: Additional information about Kathleen and Mick Martinez's family. 15 March 2001 Mackrell Family Database: Additional information about Brigid and Jack Moore's family. 13 March 2001 Percy French: New short feature on Co Down's most famous songwriter, poet and rhymer. 11 March 2001 Boyle Gathering 1999: New photo album of event available at online.ie You will leave this site - use your Browser's BACK botton to return to this page. 9 March 2001 Devlin Family Database: Additional information about Peter and Annie Devlin's family. 8 March 2001 Barrett Family Album now on-line. Few pictures only at present. Will add to album from time to time. 7 March 2001 Album of Mobane Devlins (1930s - 1940s) now on-line. 7 March 2001 I have placed a number of photo albums at Online.ie which can be accessed directly from this site. I will add to these over the coming weeks and months. 2 March 2001 Photograph (which I had never seen before) of my grandparents Owen and Annie Devlin, now available. This one, with many others, were unexpectedly and gratefully received from a cousin, Anna Crocco, Staten Island, New York. I have redesigned the site navigation by placing a menu bar at the top of every page and in some at the bottom as well. I will gradually extend this into the Family Repository. I have also improved navigation by colour coding the pages already visited during any session. 14 February 2001 Claire Devlin (aged 8) has a new page. Check it out! 29 December 2000 A new Guest Book feature is now available for direct feedback. 16 December 2000 New feature on Thomas Russell-"The man from God knows where"
8 December 2000 Statement of Policy on the storage and display of personal information now available. 7 December 2000 Further to update of 20 November, an on-line version of "The Down Recorder" is now available. 25 November 2000 Boyle wedding photos; John, Packy, Peter, Terry and Tommy, now in Repository. 20 November 2000 New feature - some stories from my local weekly newspaper, "The Down Recorder". I will update as often as I can make the time available. 30 October 2000(1) Mackrell Database - Paddy's Family mostly populated some detail and photos to be added. Information about May and Jim Treanor added. Information about Kathleen and Bernard Hamilton added. Information about Eileen and Ron Sutcliffe added. Music files, some Irish traditional melodies by Turlough O Carolan, added.